You've created a Microsoft Access database solution and have successfully distributed it to many people. Everyone is running it properly but one machine is triggering this error. The error message makes no sense and everything you try fails to resolve the problem. What's going on? We've actually had reports of this problem for years but were never able to reproduce the problem. We finally did and have a solution. The "Class Not Registered" message is very confusing. Which class is not registered? And what's the problem with this machine when the database runs successfully on other PCs? The message implies it is caused by code that won't compile, but the code compiles and is running fine before this crash occurs. Common techniques such as decompiling the database make no difference. Is it a broken library reference? Checking the list of referenced libraries doesn't reveal any problems. Is the database corrupt? This simple test effectively rules out any issues associated with your database. This basic Microsoft Access VBA command won't even run on a blank database. The CurrentProject object is part of Microsoft Access. It's not something a developer adds. The problem exists within MS Access, not your database, so the fix is at the Access/Office level. One of the causes for this error appears to be related to uninstalling another version of Access after your version of Access was installed. This may include uninstalling runtime versions of Access. For instance, your machine may have Access 2007 installed on it. 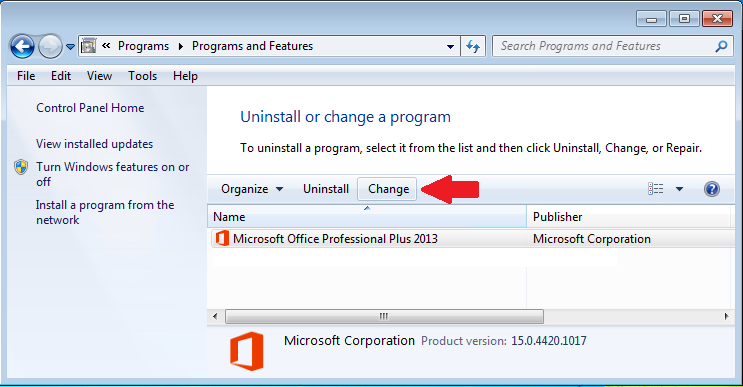 Access 2013 was later installed, and then Access 2007 uninstalled. 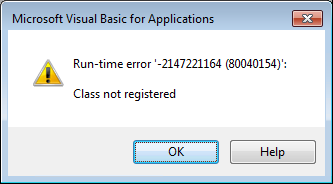 Access 2013 seems to be running properly but it fails when this code is run. For some reason, the uninstallation of the prior version of Access makes the current one you're running unstable. It may also be related to the installation of Windows updates and security patches. And of course, it could be caused by unknown file corruptions. Thankfully, this error doesn't happen often. The solution we've found is very straightforward. 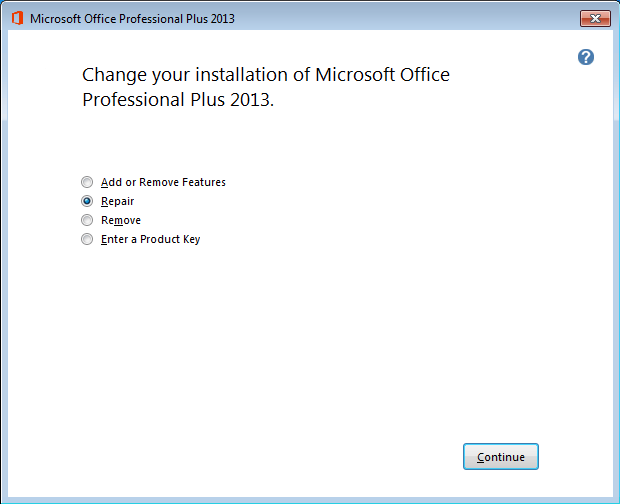 Just fix (repair) the installation of Microsoft Office/Access. You may need Administrator permissions to do this. It takes a while, but after Office and Access are repaired, the problem goes away. Confirm it's fixed by running Microsoft Access, opening a database, and testing CurrentProject.Connection in the Immediate Window. It should now work. If it doesn't work, you may need to uninstall and reinstall Microsoft Office and Access.